Well first off, since we are developing these games in Flash, I'd highly suggest having either Flash MX or Flash MX 2004. I still only have Flash MX but it's perfectly acceptable as a form of game creation. Then comes the side resources. If you want sparkling good graphics and awesome tones, then I'd suggest grabbing a high quality graphic design program such as Adobe Photoshop. There are other products that will work just fine such as 3D Studio Max for adding a 3-dimensional feel to the game. You will also need to have some sort of sound recording device. My personal favorite would have to be Fruity Loops. With an extremely wide variety of options and function ability and a rather cheap price too. It has got to be one of my favorite sound recording and editing programs. Likewise with sound programs, there are many, choose what you can get comfortable with. Now. There are some other programs you could get familiar with, but these will take care of most of the headaches that you will come against. Now...what should you know? 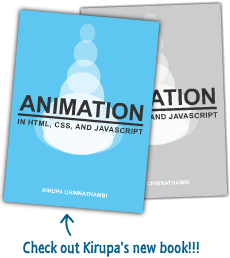 You should be very familiar with the Actionscript language. Whether it be AS 1 or AS 2. You should also be familiar with how a video game works. The best advice I can give for this is to go play one. Try it out. You know what a bad game is and what a good game is.. So use that as a judgment. What annoys you about a game? What makes you happy? Develop around feelings and not "surprises". Now, last but not least, the one thing you WILL need...is PASSION. You will need the passion to code through an entire engine just to have to recode it over 3 or 5 times just to get it running fast enough for what you want. You will need the passion to work on this until the middle of the night when your eyes feel like a ball of lead about to fall off a table. This passion is what drives people such as myself and such as the folks at Blizzard for instance to make great games!